In 2008, I embarked on my first sweet bag reconstruction. My small reproduction took approximately 150 hours of actual work time. I used multiple sources for this particular sweet bag. I used the sweet bag from the Victoria and Albert Museum collection item # T.52&A-1954 shown on page 35 for most of the motifs for my reproduction. 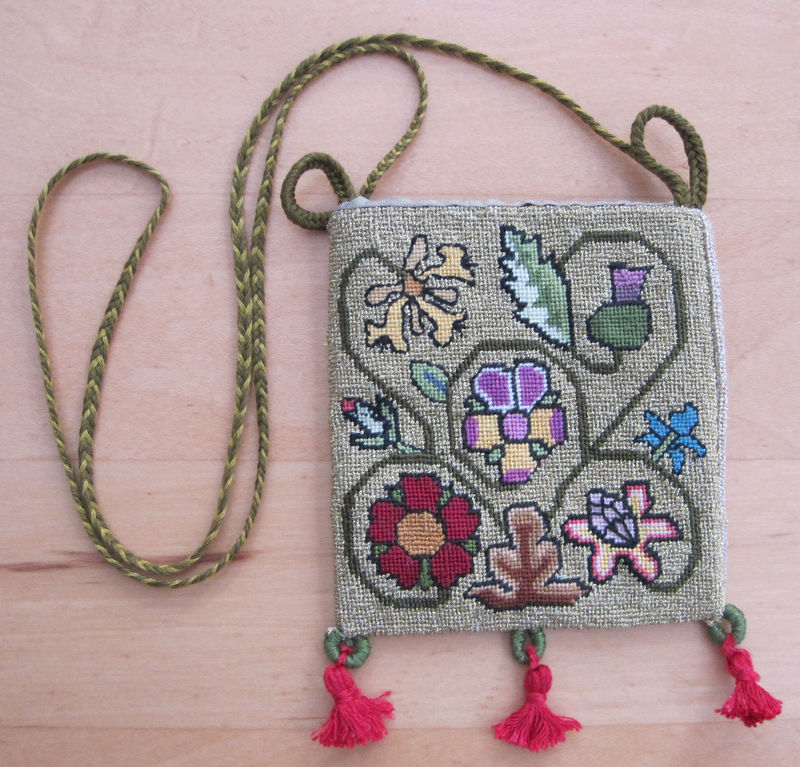 All the motifs are period, as are the red tassels, found on the well-documented Burrell sweet bag and the Manchester City Gallery sweet bag item # 1984-60. 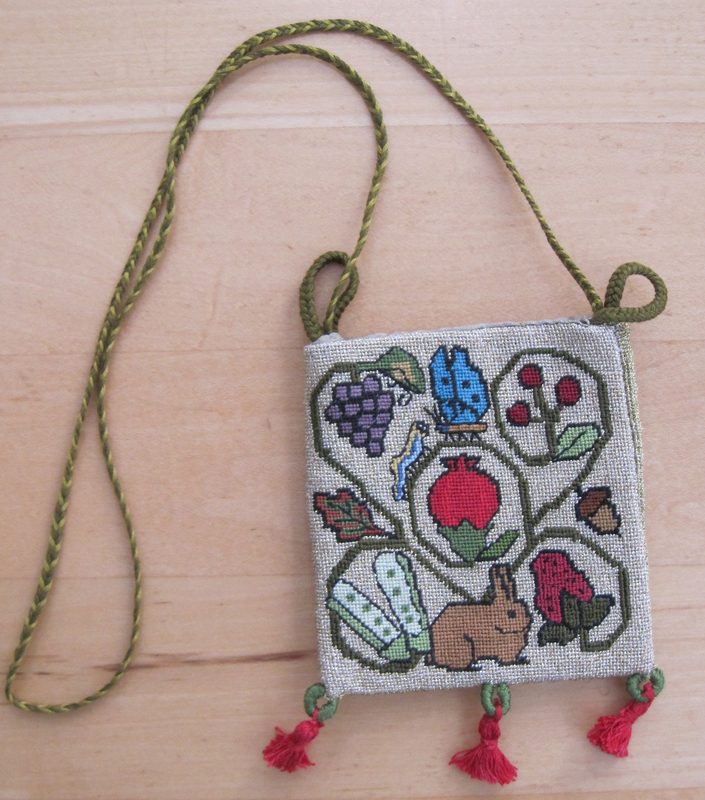 Embroidery: I used tent stitch, found in extant sweet bags. Tent stitch has the peculiar side effect of canting the linen to one side as can be seen by the bag not laying flat. This is also the case with sweet bags found in museum collections. I did the embroidery using an embroidery stand and lamp magnification. Construction: The bag and lining are hand-stitched. I entered my sweet bag into the Chalice of the Sun Gods A&S team competition in 2008.